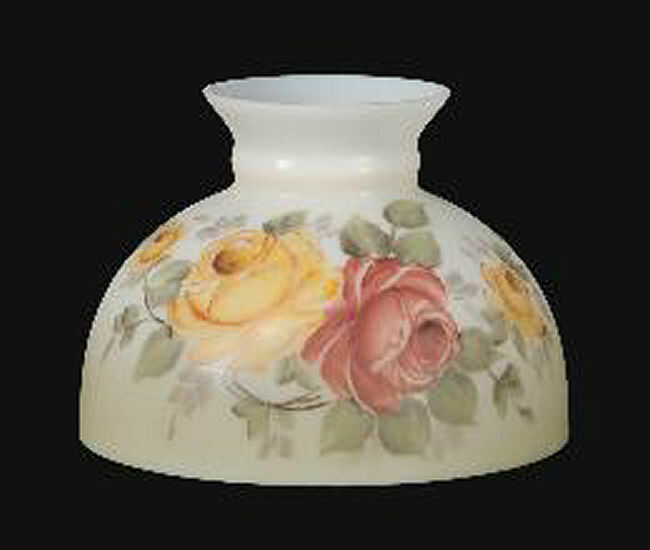 This classically shaped Student Shade features hand painted Victorian Roses Scene on a peach and celery tint. This lamp shade has a 10" base diameter fitter, and measures 7" tall. This student lamp shade's 10" fitter is the common size for most non-electric table lamps, such as Aladdin Lamps, Rayo, Miller, and many others. 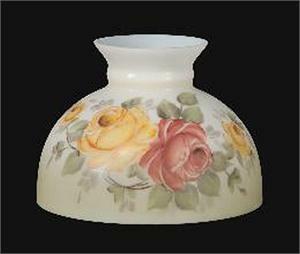 Will fit any table lamp with a 10" shade ring or shade support.